Cerebral aneurysms are a weakness in the blood vessel’s wall that leads to a small focal dilation. The etiology is debated, but they most probably start as a congenital wall weakness and later enlarge and dilate; changing size and morphology as we age. The true prevalence of aneurysms in the general population is difficult to predict, but a reasonable estimate is ~5%. 15-20% of patients with an aneurysm will actually have multiple aneurysms. Risk factors for aneurysmal enlargement include older age, smoking, hypertension, atherosclerosis, drug use, head injury and heavy alcohol consumption. Some people suffer from other diseases predisposing them to aneurysms. There probably is a genetic component to aneurysms. If a person has two close family members who have suffered from an aneurysm, it is often recommended to perform surveillance imaging. Aneurysms have been found to occur in predictable arteries in the brain. Aneurysms may either be identified after rupture (usually presenting as a hemorrhage), after imaging for a new neurologic problem or headaches, or incidentally on imaging for an unrelated issue. If an aneurysm ruptures, a person often becomes very sick quickly. 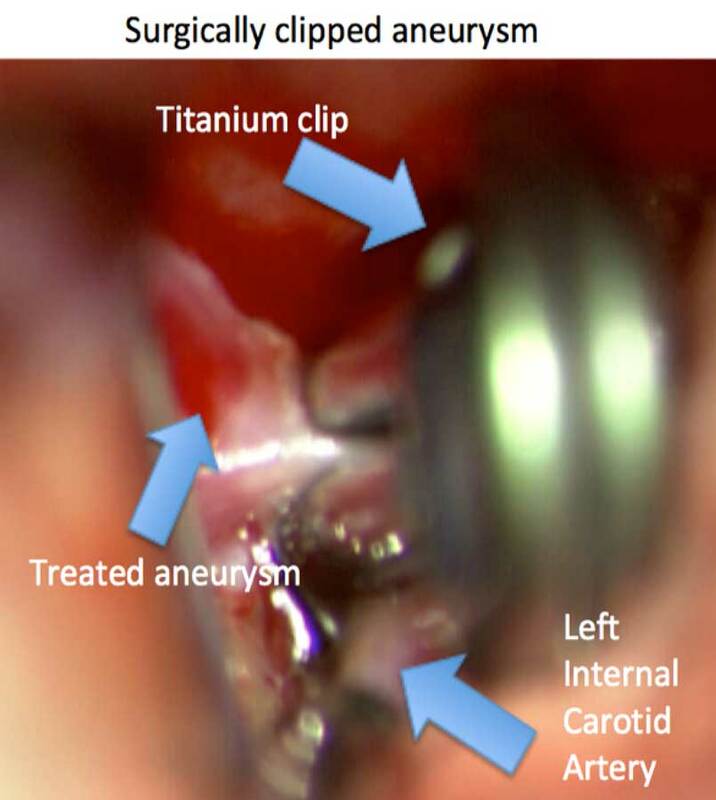 It is recommended that a ruptured aneurysm be treated quickly. We are one of a few neurosurgeons in the Denver region performing surgical procedures for aneurysms. 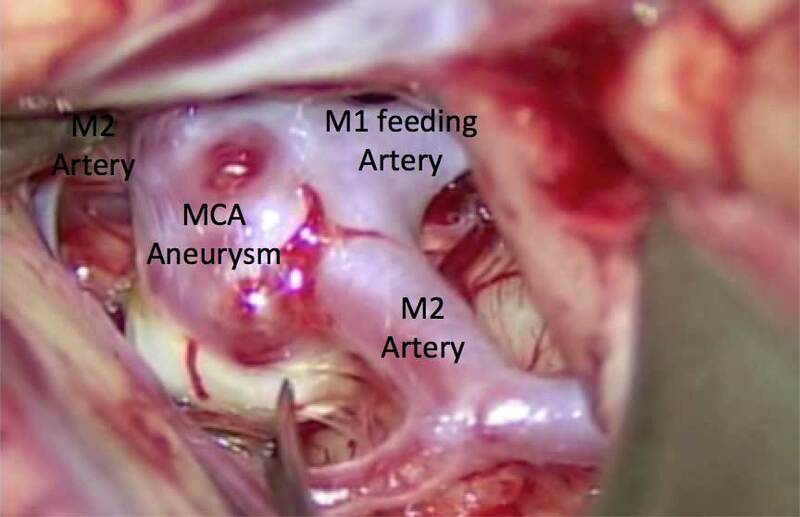 Great debate exists, however, as to the treatment of unruptured cerebral aneurysms. 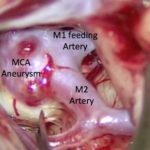 As a result there have been a number of efforts to determine the natural history of aneurysms. 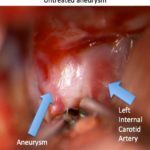 The International Study of Unruptured Intracranial Aneurysms (ISUIA) was a two-part research study attempting to evaluate this. Based on size and location, aneurysms smaller than 7mm appear to have a low risk of rupture. 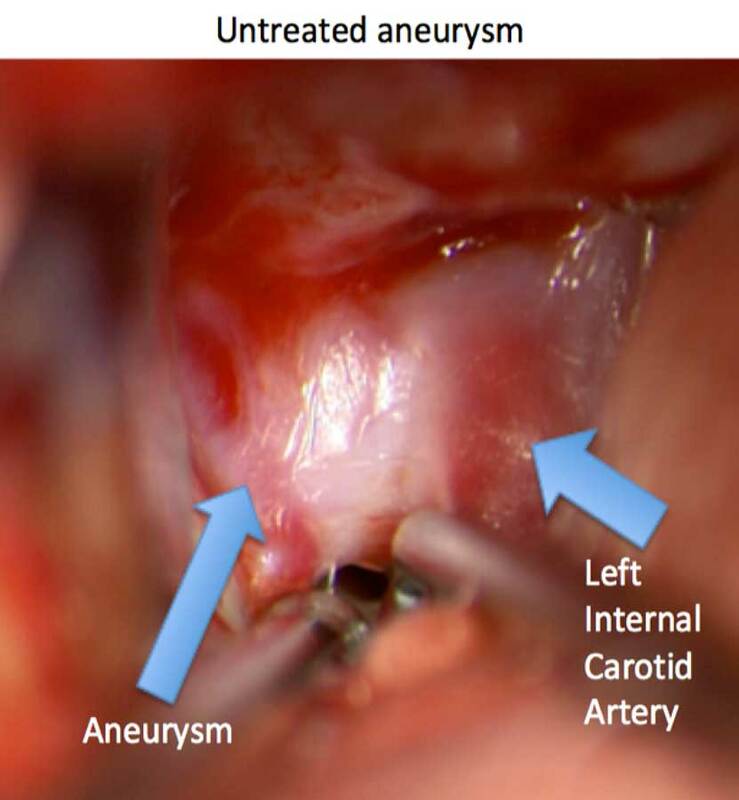 Rupture rates also vary on which artery the aneurysm arises from. Of course these are not steadfast rules. Any aneurysm may rupture at any time, and patients should be counseled regarding their specific risk factors for rupture and desire for prophylactic surgery. A young person with a 3mm aneurysm who is a smoker has a different risk profile to an older healthy patient with same size aneurysm. Any person with an aneurysm should be evaluated by a neurosurgeon. There have been no identified conservative management strategies for aneurysm treatment other than changing modifiable risk factors, such as stopping smoking or treating blood pressure. Surgery is the only definitive treatment. 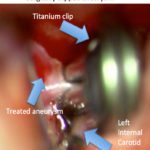 Surgery may be performed as an open procedure where a metal clip is placed on the aneurysm or as an endovascular procedure where small metal coils are placed inside the aneurysm. 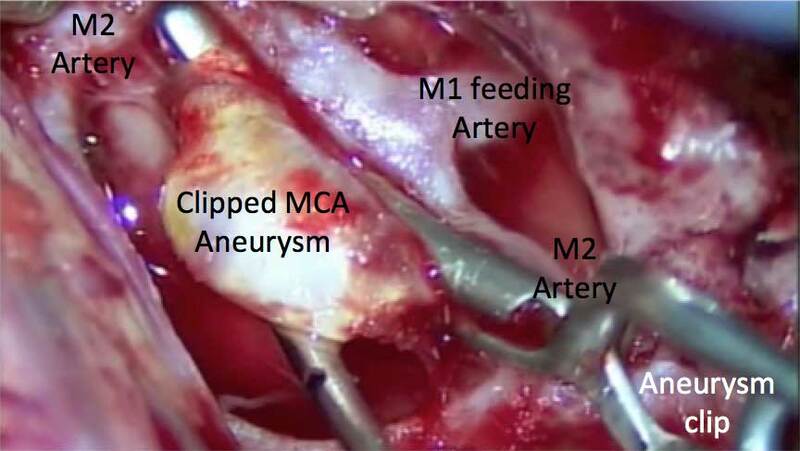 In either strategy, the aneurysm is blocked so that it should not rupture. 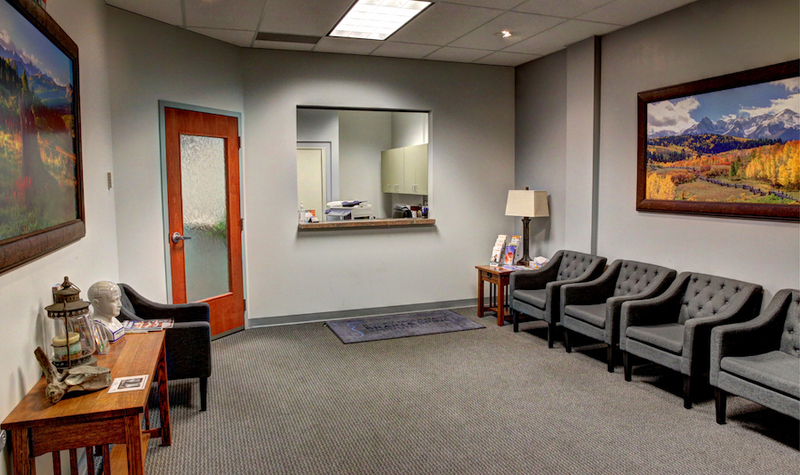 There are advantages and disadvantages to either procedure. 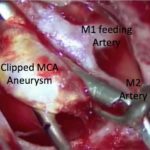 A large study called the International Subarachnoid Aneurysm Trial (ISAT) was reported in 2002 to compare the two treatments. It appears that either treatment may successfully treat aneurysms. At Rocky Mountain Brain & Spine Institute, we are one of a few neurosurgeons in the Denver region performing surgical procedures for aneurysms. We are BOARD CERTIFIED.